Is it because I’m a romantic, or are there times when God writes on our lives with a big bold pen? Because He’s done it again in my life. And quite frankly taken my breath away. This past spring I didn’t think He could bless me more than He already had when He arranged for my birth-daughter to be the model on the front cover of my debut novel—a fictional story set in India 1919. My birth-daughter Sarah is the child I relinquished to adoption when she was 3 days old, and was reunited with 20 years later. The road of adoption relinquishment and reunion is not an easy one. After the reunion as I relived the original loss of Sarah, the Lord encouraged me to write out my emotional pain. Like a lot of writers, my loss became my muse. But it wasn’t until after the photo-shoot for the front cover that I realized God had bracketed the conception of my fictional career and its debut with my beautiful muse. I couldn’t thank Him enough. But He wasn’t finished yet. He was writing another chapter to our true-life adoption story. During the design of my front cover, Sarah and her husband were in the midst of applying to various missions. As ER nurses they both felt called to full-time missionary work. Several months after my novel was released, Sarah announced they were going to serve with Global Aid Network—GAIN. One of the bigger projects they will oversee is the Ramabai Mukti Mission, an organization that has been in existence in India for over 100 years. The Mukti mission cares for women and orphans—especially the disabled and those rescued from sexual slavery. I couldn’t believe my ears. This particular mission has strummed a chord in my heart for several decades, and so has its founder, Pandita Ramabai—a former Hindu widow who came to Christ in the early part of the last century and who started up her mission to rescue women and children. There is an integral fictional character in my novel Shadowed in Silk. Her name is Miriam. 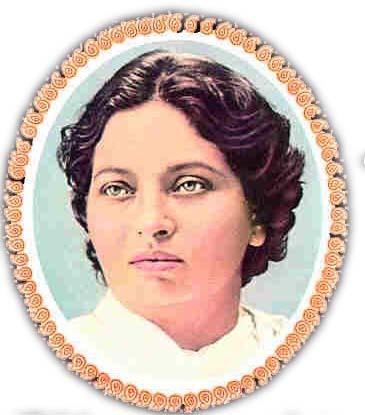 Some reviewers described my Miriam as a Mother Teresa figure, but in fact she is based on Ramabai who had died in 1922. My birth-daughter, Sarah, had no way of knowing this. I’d kept this tidbit of my novel to myself. Only God knew. Christian relief projects even in that country. Why bless this particular birth-mother's heart in such a personal way? As I look back on the road of adoption relinquishment and reunion—and my writing—I am amazed at the boldness of God’s pen strokes in my life. It’s no wonder I write. I desperately scrabble to get down on paper just a trace of His exquisite tenderness and kindness, the artistry of what He can do with a surrendered life . . . a surrendered child, to encourage others to follow Him.